All DLC is included in the base game installation. Local multiplayer is broken as second controller also controls first player. Included with the base game. 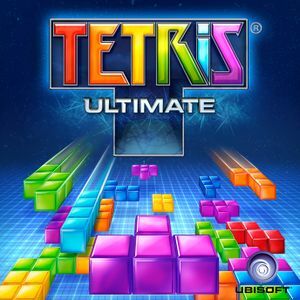 Game does create %USERPROFILE%\AppData\LocalLow\SoMa Play Inc\Tetris Ultimate\ but it's not used by the game. Can be forced via the configuration file. Lowest preset called fastest only. 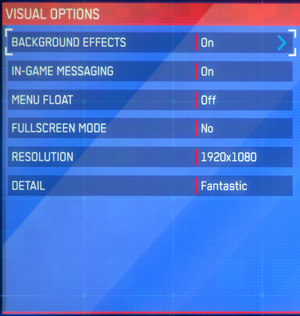 Higher presets enable 60 FPS cap. Included with March 11, 2016 update. Default and three customizeable presets. Mouse not used outside of menus. XInput and DirectInput. Designed for XInput controllers. 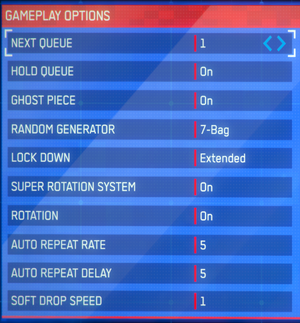 Has to be toggled from options menu if using for first player. 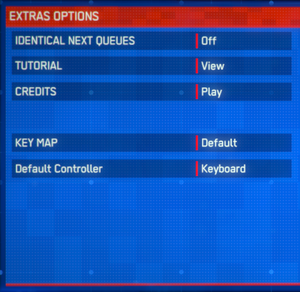 Cursor stays at screen in menus and may highlight items making navigating with controller impossible. 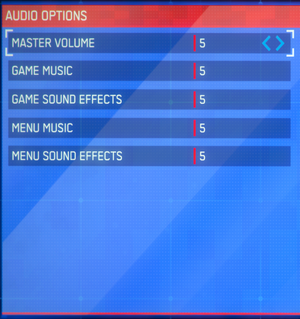 Master, music (game and menu) and effects (game and menu). 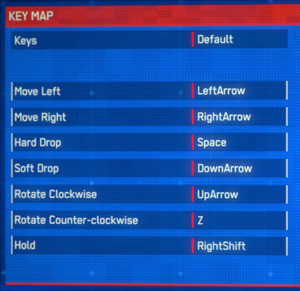 First player can use keyboard or controller according to settings. Other players require controller. XInput controller order isn't respected. Online has to be disabled (Tetris Live). Can include up to three local players. Following fixes seems to work in some cases, but may not fix the crashing issue. March 11, 2016 update fixed the controllers working in multiplayer, however it introduced another bug where playing multiplayer makes first player to control both first and second player. It's possible to use specific workaround if first player is playing with keyboard. This issue seems to be specific to Unity engine and Xbox One Controller under Windows 10. As game doesn't feature button rebinding, currently only workaround is by installing older version of the driver. Download and install older version of Xbox One controller drivers. 32-bit or 64-bit. This is not advisable as it may break other games compatibility with the controller, which requires updating driver to latest version. ↑ 2.0 2.1 File/folder structure within this directory reflects the path(s) listed for Windows and/or Steam game data (use Wine regedit to access Windows registry paths). Games with Steam Cloud support may store data in ~/.steam/steam/userdata/<user-id>/316750/ in addition to or instead of this directory. The app ID (316750) may differ in some cases. Treat backslashes as forward slashes. See the glossary page for details. "Someone knows how to set 2560 x 1080 resolution? Maybe any configs or something? Ingame i can set max. 1920 x1080. ok it fixed via regedit"
"Aiui, this is down to a bug in Unity. Unless m$ patch their drivers to workaround it, either the game devs need to add a workaround or it needs fixing in Unity /&/ the game devs need to rebuild the game with the fix." "Crashing tons for me, but seems to work if I start a Marathon game quit out and then try the other game modes for some reason."